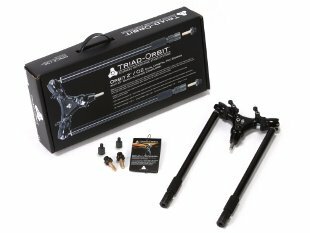 Triad-Orbit O2X Orbit 2X Double Boom Arm Advanced Stand System! Home / Triad-Orbit Advanced Stand Systems / Triad-Orbit O2X Orbit 2X Double Orbital Boom Arm System with 4 IO-A Quick-Change Boom Arms – The Most Advanced Stand System with Quick-Change Couplers! 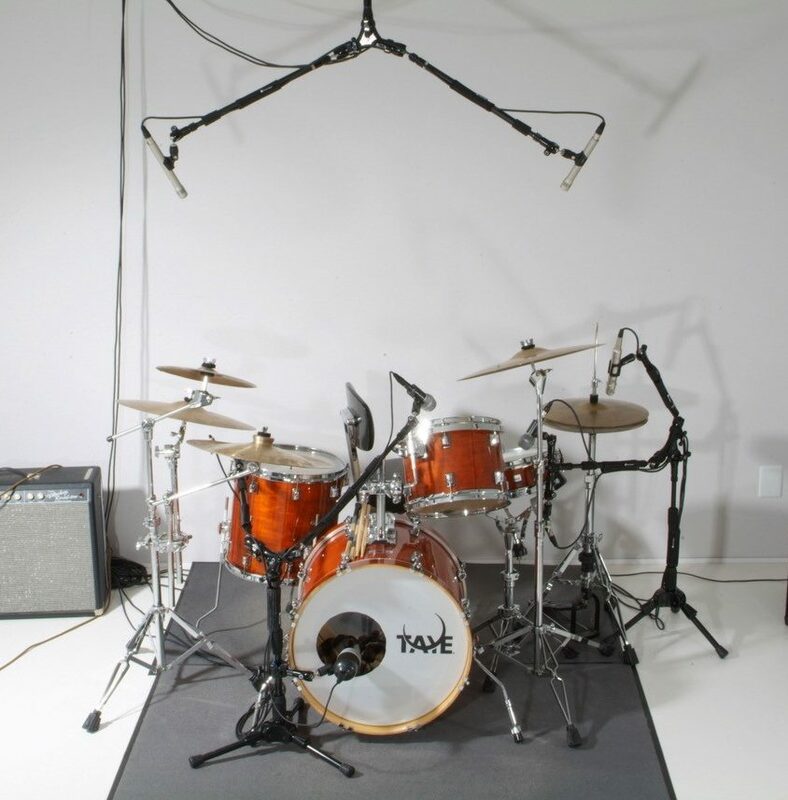 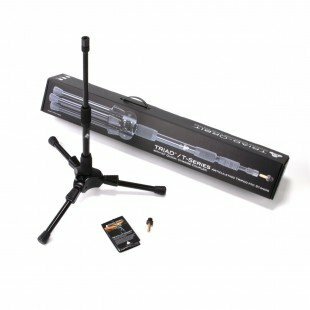 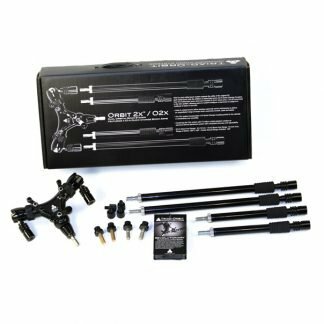 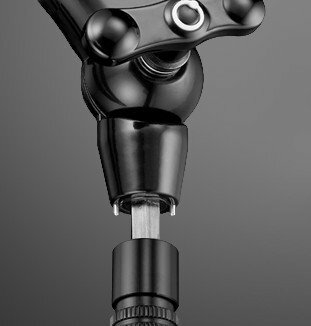 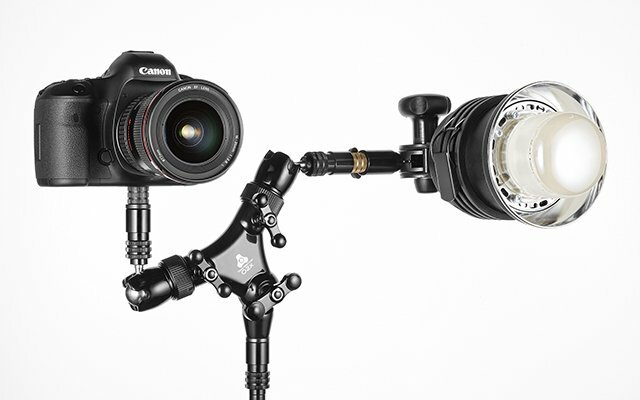 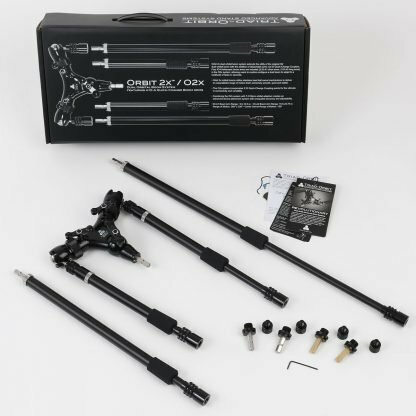 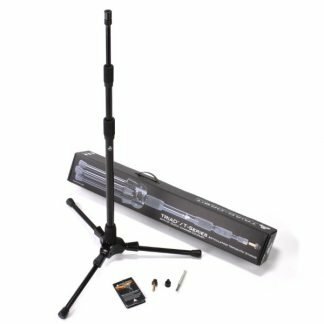 The Triad-Orbit O2X, Orbit 2X, is the BEST and most advanced double-arm boom stand ever made! 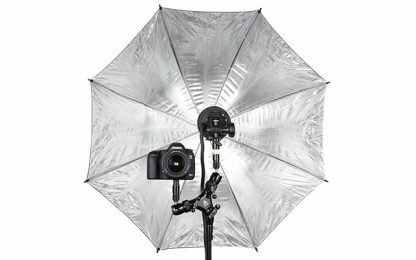 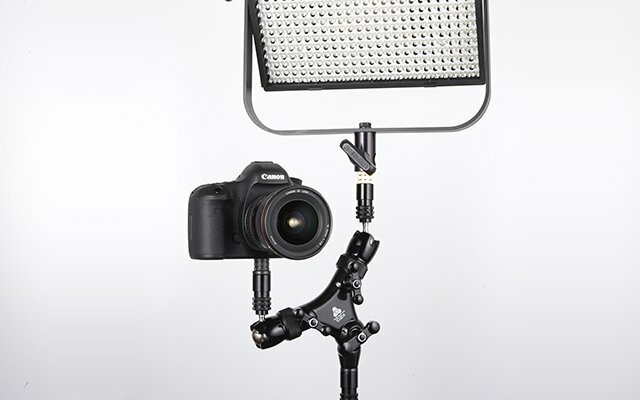 It has double ball-swivel mechanisms and double telescoping adjustable quick-change boom arms for precise placements and infinite adjustments. 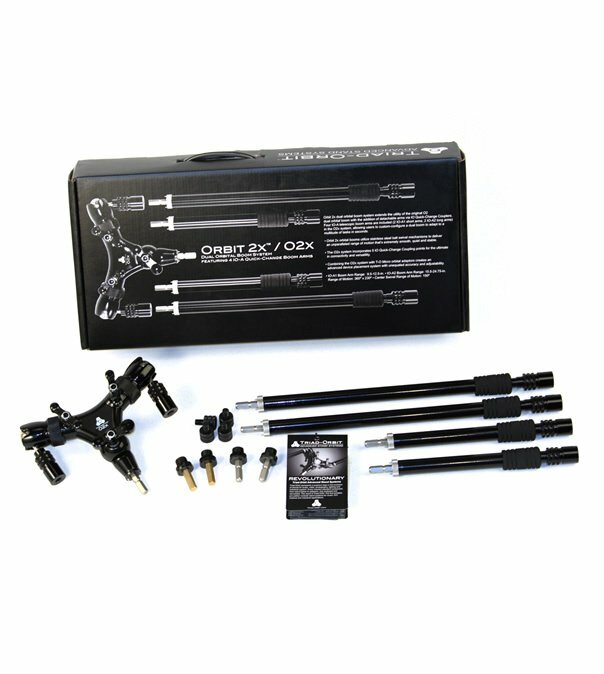 It comes with 2 short IO-A1A telescoping boom arms and 2 long IO-A2A telescoping boom arms that can easily and quickly be swapped out whenever you need. 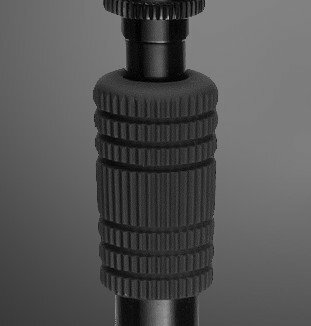 The comfortable industrial-grade clutches are incredibly strong and the all metal construction makes holding even heavy things easy. 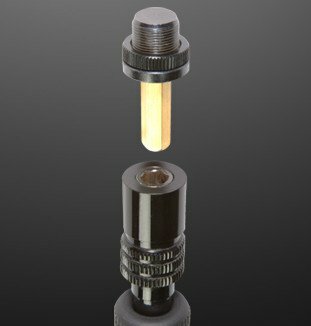 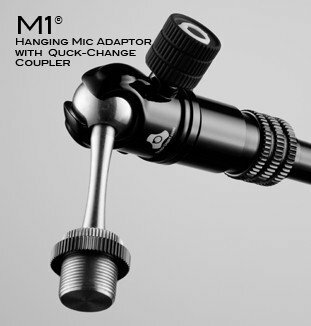 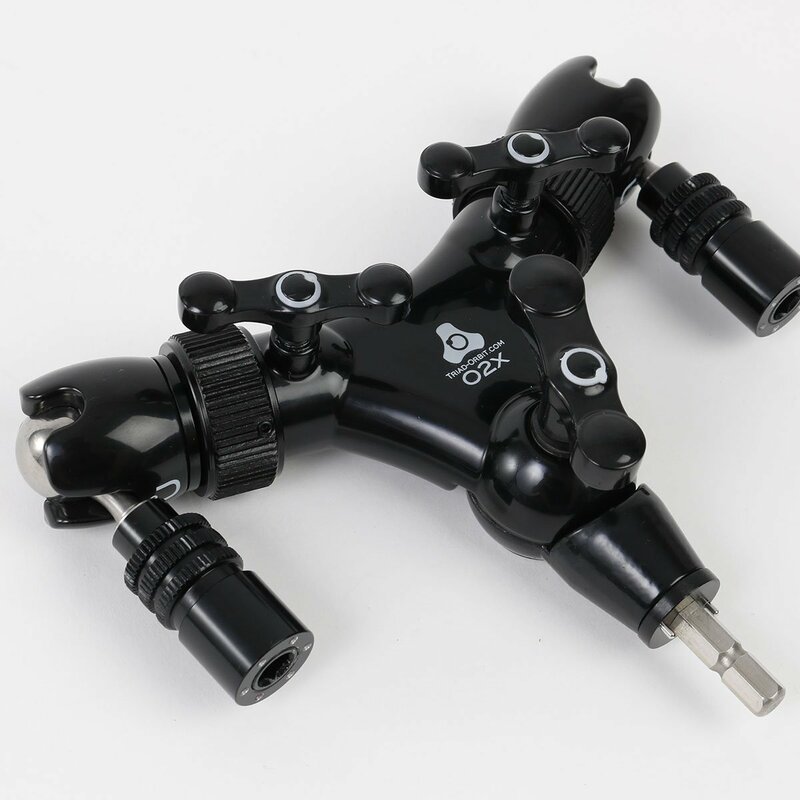 The Orbit 2X connects to any Triad-Orbit IO quick-change product for fast setup or with the optional IO-RA coupler you can use it with any stand you want! 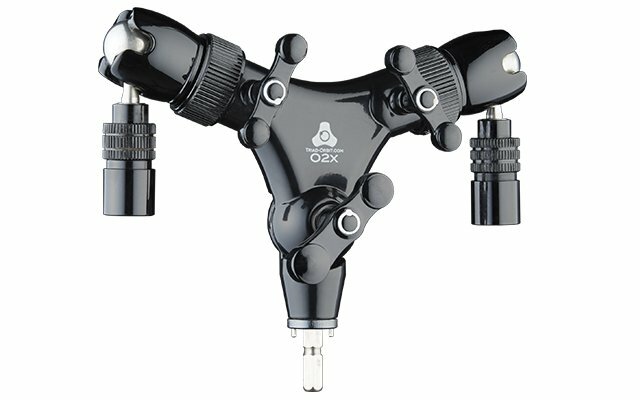 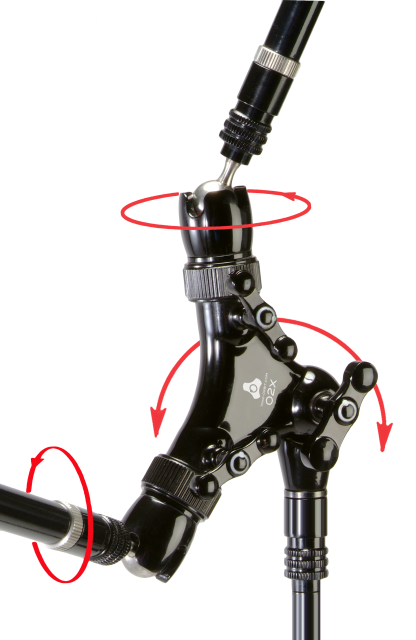 The O2X also has built in IO quick-change couplers that make switching things out a breeze. 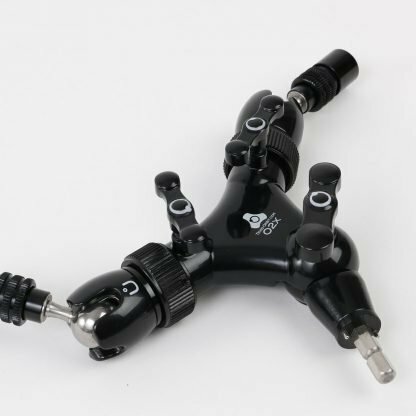 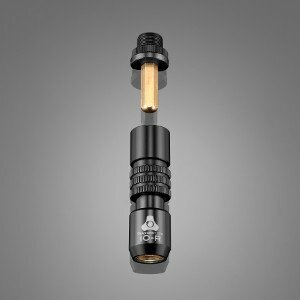 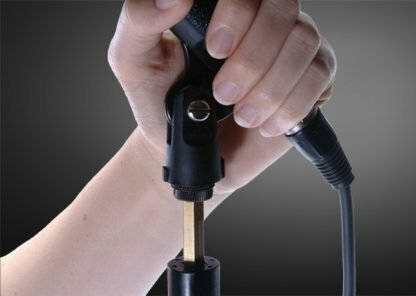 Just push down on the couplers to release the IO-H1 and IO-H2 standard 5/8″ microphone mounting heads (3/8″ adapters included) and simply snap them back in to use. The center also adjusts 150° for even more placement options. 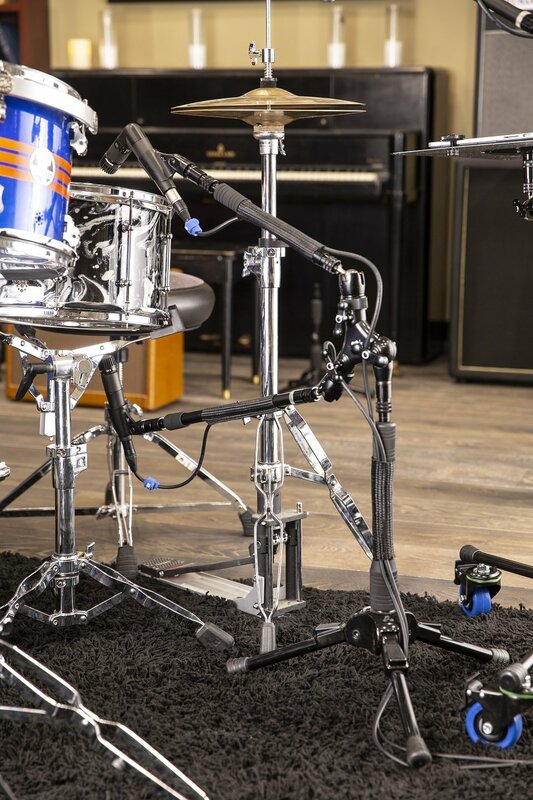 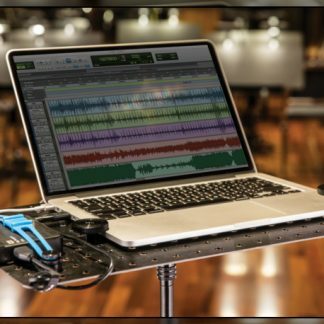 This is the BEST and most advanced double boom arm stand system in the world!